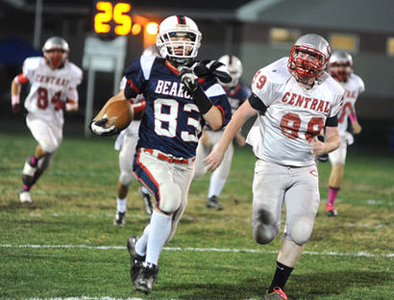 10/26/12 By Gary M. Baranec Huntingdon’s Jordan Shope answers Austin Conrath’s first quarter TD with a (40 yard ????) kickoff return. Published January 28, 2015 at 394 × 300 in footballh300. Comments are closed, but you can leave a trackback: Trackback URL.